Every year, we attend the ISES Gala with our peers to celebrate each other’s accomplishments with pride and enthusiasm. We are fortunate to brush elbows with some wonderful people who dedicate their lives and pour their souls into their businesses. 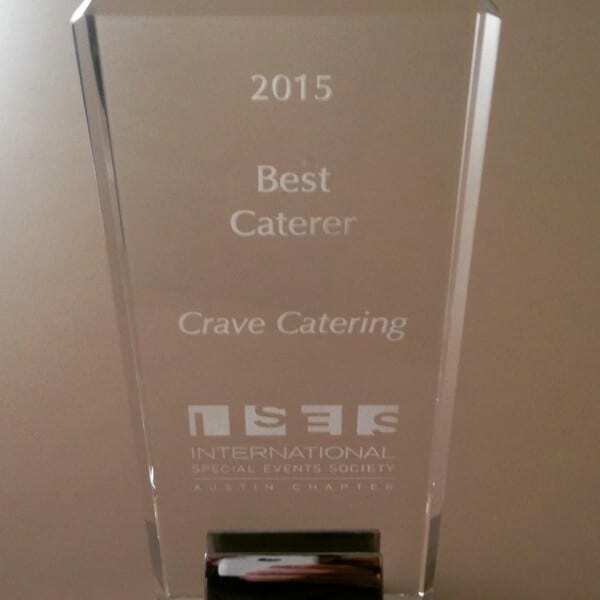 In an industry where we all come together to create a cohesive and wonderful event, we are honored to have received the ISES award for Best Caterer! A big heartfelt thank you to everyone involved. Today’s Flash Back Friday goes back just about a week to an event hosted at the Blanton Museum of Art. We wanted to match the exact feel and ambiance of the room, which was exhibiting the works of artist Francisco Oller. Aptly named, “Impressionism and the Caribbean: Francisco Oller and his Transatlantic World,” the exhibit features the inspiration that artists from around the world drew from one another. Oller was deeply inspired by his Puerto Rican roots as well as the likes of 19th-century masters Paul Cézanne, Winslow Homer, Claude Monet, Camille Pissarro, Frederic Edwin Church and others who traveled to the Caribbean or whose artistic style had a profound influence on Oller and his peers, and vice versa. This Caribbean theme was where we drew our inspiration for out catering menu for the Director’s circle complete with exotic and delightful fruits like papaya, horned melon, dragon fruit and plantains. For dessert we had macaroons and mini key lime tartlettes. Take a look at the colorful display, a work of art in itself! Living in Austin lends itself to being weird, kooky and just plain out of the ordinary, so why do something “regular” for your Pops when you could easily take it up a notch? Here are a couple of ideas any dad in Austin could really get behind. Dad’s Appreciation Day at Independence Brewing Co.
What’s not to like about a brewing company that devotes a day purely for dads to enjoy themselves? With hours of hops, live music and even a free tour of the brewery, the festival is a great way for the whole family to enjoy Dad’s day. This Austin boutique has novelty items that can make any dad feel like a million bucks. Browse the website for ideas, from leather wallets to vintage feeling hats and belts. Show your dad how to dress in style, he might not know what’s “hip” these days! If these ideas don’t appeal to you, we know any Austin dad would enjoy a trip to the local watering hole like Barton Springs or Deep Eddy Pool. Whatever you may choose to do, to all the Austin Dad’s out there- Happy Father’s day! The UMLAUF Sculpture Garden is a wonderfully lush space nicely hidden next to Zilker Park. Immersed with native plants and shrubbery, you will find babbling brooks and dozens of bronze and stone pieces given to the city of Austin by noted 20th century American sculptor, Charles Umlauf. Originally containing small ponds used by soldiers to practice fly casting during the late 1930s and 1940s, the four acres of what is now the UMLAUF Sculpture Garden were then forgotten for the forty years, lost under vines, brush and illicit dumping from neighbors. Flash forward to 2015, and you have dug out paths along garden beds creating a wonderful space to hold small events. Crave Catering was able to join in on their annual Farm to Table Harvest Lunch, a corporate lunch and learn with Guest Speaker, Thom Singer. There was great food, beautiful scenery and an informative lecture on how to make connections at conferences and networking events. We served up our special strawberry rhubarb pie! Make sure to keep an eye on their calendar for other great events, and check out the pictures below.Do you have any secret spots around Austin we should know about? Comment and let us know about your sweet escapes! Crave Catering is so excited to be hosted at the June 7th Open House at The Creek Haus & Vista West Ranch! Double the Venues = Double the Vendors. Join us for eats, drinks and wedding peeps! There is a deep rooted love for tacos in this town. The evidence is everywhere—arguments on which taco joint reigns supreme, how-to build-a-taco guides, and even national articles naming places in Austin as some of the best tacos around. This Friday, June 5th, our love of tacos will be expressed through art. A group of 15 talented local artists have transformed the way we look at tacos by putting pencil to paper, brush to canvas and other creative ways in-between. Along with appetizers and non-alcoholic drinks, anyone attending is encouraged to BYOB (if you’re 21+ of course) and enjoy some taco art! All pieces will be for sale and thanks to the host venue, 100% of sales will go directly to the artists in the show. After tonight’s opening party, the show runs until the end of June. Let’s go taco ‘bout art on June 5th! Check out more information about the exhibition here. A little sneak peek from artist Anissa Bryant is below! Blues on the Green is a great summer activity that the whole family can enjoy. It’s all about the live music, local food trucks and breezy summer evenings in the live music capital of the world. 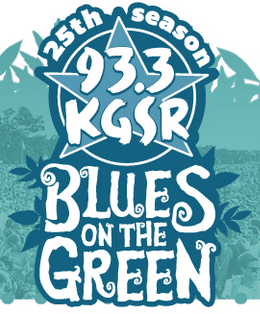 Put on by 93.3 KGSR, this will be Blue’s on the Green’s 25th season! Check out the lineup below as well as KGSR’s website for promotions and chances to win entry into the VIP section as well. If there’s something we love here at Crave Catering, it is the chance to support local businesses. We hope to see you out on the lawn! Being conscious of the carbon footprint you are creating is not an easy feat when it comes to having events. Not many think of a wedding as an event that can remain sustainably sourced, but from our experience with newlyweds Ann and Cody, it is safe to say that it can be done. The bride whom studied how to practice sustainability in our everyday lives, was also able to prove that even in Texas, you can have eco-friendly nuptials. She notes that a great place to start was sourcing all of the items with the least amount of travel possible to produce less carbon. That meant choosing local vendors near Austin for food, native and organic flora, and even serving local meats and seasonal veggies at the reception. We were extremely happy to have been a part of this beautiful wedding, as Loft Photography so graciously captured every moment. 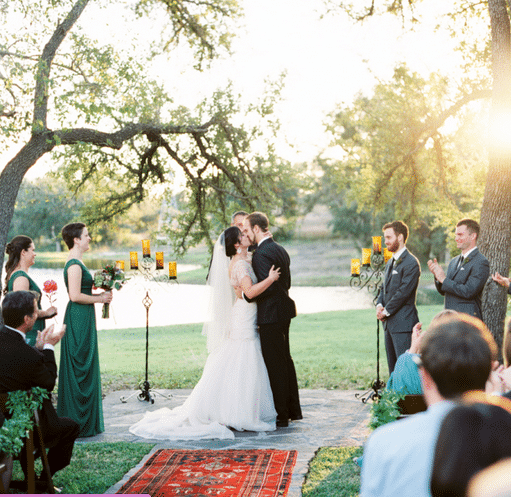 The couple’s ceremony was also featured on Style Me Pretty Texas where you can read more about the thought that went into the planning and execution of the wedding in its entirety. We are truly inspired and still in awe that it was all done with minimal impact to the environment and no loss of elegance and beauty. An alliteration that goes so well together is bound to be a good time. As Austin has become rather famous for the “Mexican Martini”, we have jumped right into the search for the best Tequila. We have made our fair share of specialty cocktails for our guests using tequila; from Palomas to Tequila Sunrises and of course, the classic Margarita. This event will feature an assortment of specialty tequilas from local distilleries as well as from the larger more well-known variety from our neighbor to the south. There will also be an assortment of tapas from some local Austin favorites. 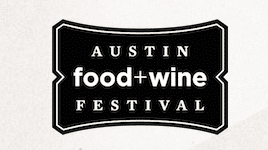 Just another fun tasting event to do in Austin! Filed Under: Austin Events, Austin Weird Wed.